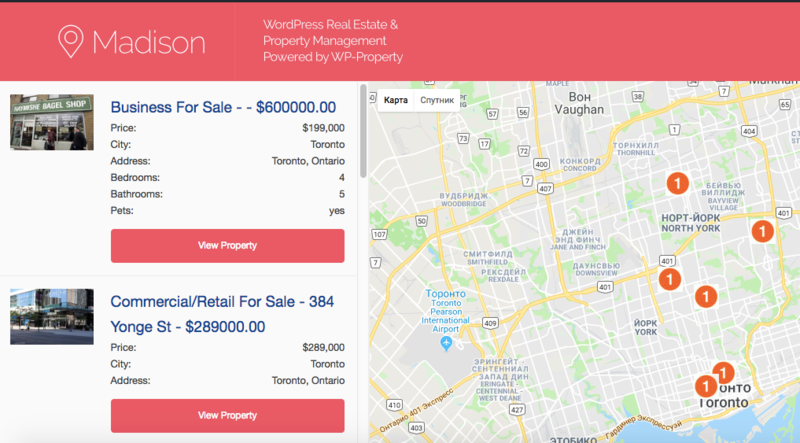 is the leading WordPress plugin for creating and managing highly customizable real estate, property management, and completely custom listing showcase websites. 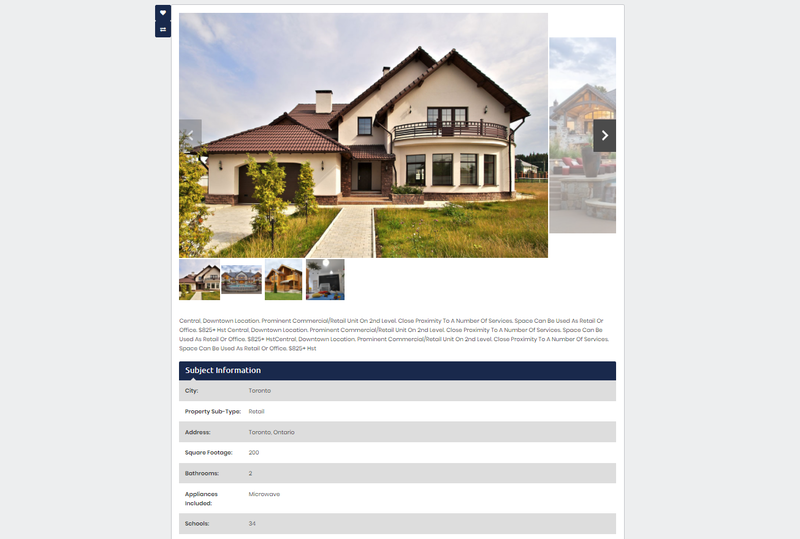 We designed our WordPress themes especially for WP-Property plugin. They have responsive style layouts so that it can be displayed nicely on any device, desktop or mobile. Customizable sidebars and different widgets to suit every taste. All colors from the site are also customizable to fit your brand’s colors. Add any amount of custom fields. Different fields inputs are available, e.g. Text Editor, Dropdown Selection, Single Checkbox, Multi-checkbox, Radio, Number, Currency, Oembed, File and Image Upload, URL, Date and Color Pickers, etc. Specify search criteria and quickly sort results with a single click. 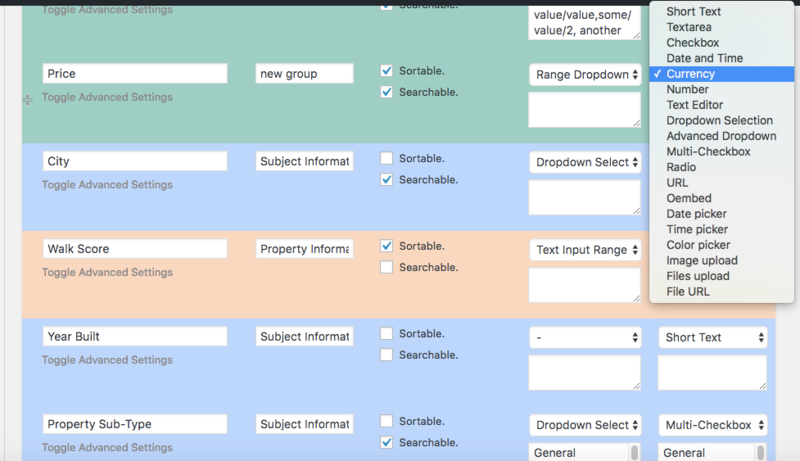 Use special Property Search widget where you can set up which attributes and property types should be in your search form. Adds Walk Score's and Neighborhood Map's Widgets and Shortcodes to your Site powered by WP-Property plugin. And allows to sort and search your listings by Walk Score. Allows to create new Real Estate agent accounts, associate them with properties, filter properties by agent and more. The Add-on allows you to add a tab with property listings or any other content from your website, on a Facebook Page. Allows to create front-end forms that facilitate a simple way for website visitors to submit, edit and delete listings from frontend. Listings can be submitted for free or you can use Sponsored Listings option via WP-Invoice add-on. Allows the website owner to quickly generate PDF flyers, or brochures, ready for printing or download. Extra functionality which includes capability management, white labeling the control panel, and changes menu titles. 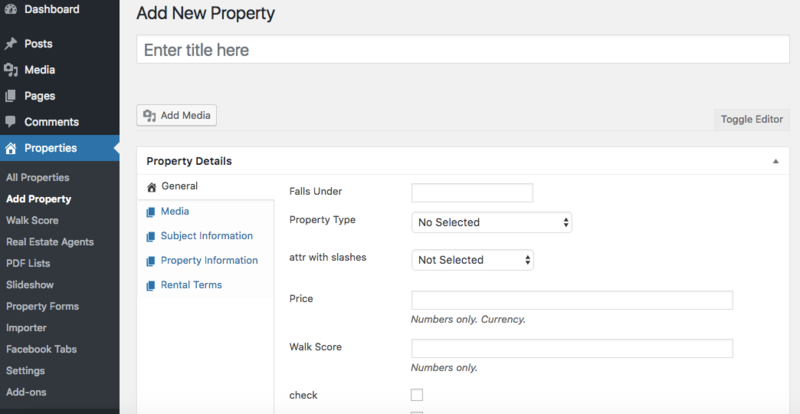 Create any number of additional taxonomies and categorize your listings into search-friendly terms. Set up any amount of attributes and taxonomies, group them and use one of 19 Data Input types. Add properties to your site manually or from some feed in MLS, RETS, XML, CSV formats. You will see property map on single property page and also you could set up Supermap with all or particular properties from your site. Use one of 3 WP-Property themes which were written especially for WP-Property, fully compatible with it and will give you good looking templates. 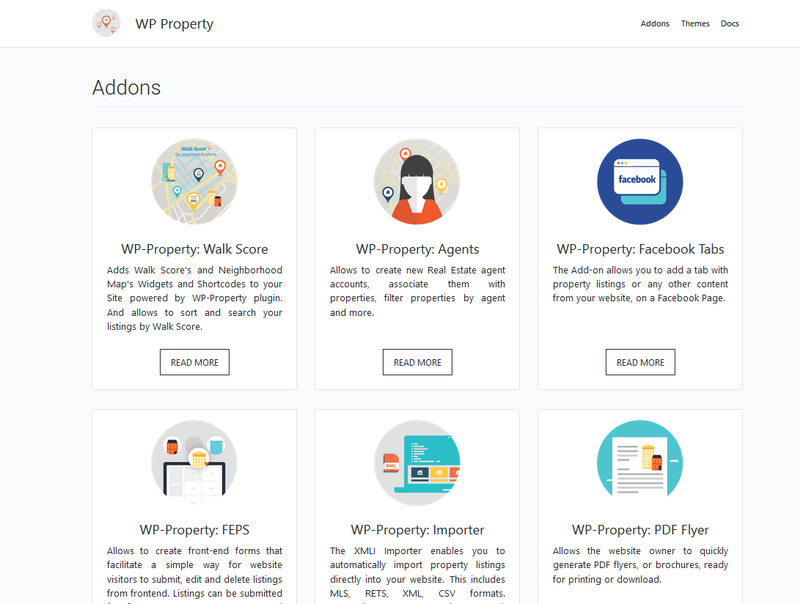 If that not enough, check free WP-Property add-ons to enable PDF, set up Slideshow, add Agents, add Forms to submit properties and much more.